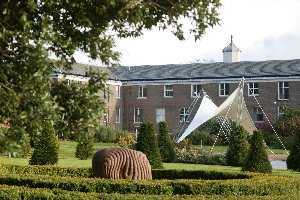 The School of Law at the University of Nottingham is consistently ranked amongst the leading law schools in the United Kingdom and is considered to be a leading centre of legal research and teaching in the world. Rated as �Internationally Outstanding� (Grade 5A, on a scale of 1�5*) for research and as �Excellent� for teaching, the School offers the opportunity to specialise in your chosen area of law in a stimulating and challenging environment. Postgraduate students are central to our learning community and make a rich contribution to the academic life and culture of the School. Our taught masters programmes are designed exclusively for postgraduate students and are characterised by a commitment to seminars and other small group sessions. We believe that active engagement in exploring and exchanging ideas is fundamental to your intellectual development. You will work with talented peers from diverse academic, professional and cultural backgrounds and interact closely with academic staff. School of Law students have access to state of the art computing facilities, including the Baker & McKenzie Resource Room, a recently refurbished computer suite to which only School of Law students have access. The Hallward Library houses the Law Collection of approximately 60,000 books, law reports series, journals, pamphlets and microfilms. Students have unlimited access to extensive collections of primary and secondary legal materials via a wide range of electronic sources. The library is open long hours every day of the week and students have access to a knowledgeable staff and a dedicated law librarian. Every year, the School launches its JC Smith visiting fellow scheme, where leading academics from other law schools visit the department and address both staff and students. The annual law staff seminar series welcomes a range of speakers from other universities to the School and a number of exciting events are arranged throughout the year, such as film series, social events, Human Rights Law Centre internships to mention but a few.